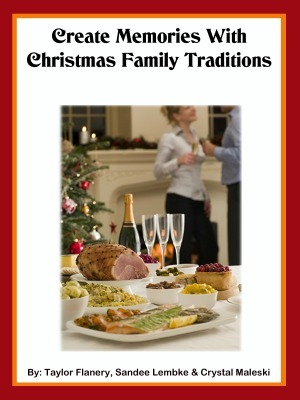 Here's a link to the free Christmas Family Traditions ebook for all Household Management 101 newsletter subscribers. I hope you enjoy it, and have a Merry Christmas with your family this year! If you would like to share this book with others, you may. However, I would ask one small favor, which is to provide a link to this page, instead of to the PDF itself. I'd also love it if you encouraged people to sign up for the newsletter, or signed up yourself. You can click here to sign up for the Household Manager Newsletter.